All applications need to execute queries to retrieve data from their database. With JPA and Hibernate, you can write JPQL, native SQL queries or Criteria Queries and you can use all of them with Spring Data JPA. In most cases, Spring Data just makes it a little bit easier. You can let Spring Data JPA derive the query from the name of a method in your repository. You can define your own JPQL or native query using a @Query annotation. Both options work great, and you should be familiar with them. In this article, I will focus on derived queries, and I will dive deeper into defining a custom query in a future article. But before we do that, let’s take a quick look at the domain model that we will use in all of the examples. It consists of an Author and a Book entity with a many-to-many association between them. Spring Data often gets praised for its derived query feature. As long as your method name starts with find…By, read…By, query…By, count…By, or get…By and follows the right pattern, Spring Data generates the required JPQL query. That might sound like you will never need to write your own queries again. But that’s not the case. It’s a great way to define simple queries. But as soon as you need to use more than 2 query parameters or your query gets at least a little bit complex, you should use a custom query. That’s either because the query name gets really complicated to write and read or because you exceed the capabilities of the method name parser. That said, let’s now take a look Spring Data JPA’s derived query feature. Let’s start with a simple example of a query that loads Author entities with a given firstName. As you can see, the definition of a derived query is pretty simple and self-explaining. I started the name of the method with findBy and then referenced the entity attributes for which I want to filter in the WHERE clause by its name. And then I define a method parameter with the same name as the referenced entity attribute. You can then use this query by injecting an instance of the AuthorRepository and calling the findByFirstName method with the firstName you want to search for. When you run this test case and activate the logging of SQL statements, you can see the generated SQL statement in your log file. You can extend this method to search for Author entities with a given firstName and lastName by combining them with And. Spring Data JPA, of course, also allows you to concatenate multiple checks using an Or clause. As expected, when you call this repository method, Spring Data JPA and Hibernate generate an SQL query with a WHERE clause that filters the result based on the first_name and last_name columns. If you want to filter for an attribute of an associated entity, you can traverse managed relationships by referencing the attribute that maps the association followed by the attribute of the related entity. The following code snippet shows an example in which I reference the books attribute on the Author entity to traverse the mapped association and then reference the title attribute of the associated Book entity. That create a query that returns all authors who have written a book with a given title. 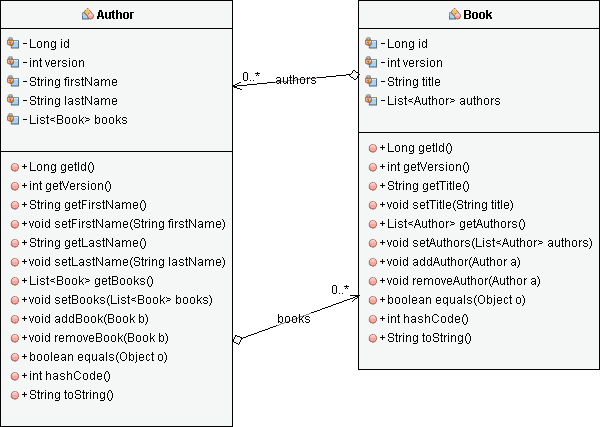 When you call this query method, Hibernate generates an SQL query that joins the author and the book table and compares the value in the title column with the provided bind parameter value in the WHERE clause. Like – to check if the value of an entity is like a provided String. Containing – to check if the value of an entity attribute contains the provided String. IgnoreCase – to ignore the case when comparing the value of an entity attribute with a provided String. Between – to check if the value of an entity attribute is between 2 provided values. LessThan / GreaterThan – to check if the value of an entity attribute is less or greater then a provided one. Here is a simple example that selects an Author entity which firstName contains the String “thor“ while ignoring its case. When you call this method on the AuthorRepository, Spring Data JPA and Hibernate generate an SQL query that converts the provided String and the value in the first_name column to upper case and creates a LIKE expression to check if the first_name contains the provided String. You can, of course, also order your query results. In JPQL, this would require an ORDER BY clause in your query. With Spring Data JPA, you just need to add the words OrderBy to your query followed by the name of the entity attribute and the abbreviations ASC or DESC for your preferred order. The following example uses this feature to retrieve all Book entities whose title contains a provided String in the ascending order of their title. When you call this method on the BookRepository, Spring Data JPA and Hibernate generate an SQL statement with the expected ORDER BY clause. If you require dynamic ordering, you can add a parameter of type Sort to your query method. This is one of the special parameters supported by Spring Data JPA, and it triggers the generation of an ORDER BY clause. You then need to instantiate a Sort object and specify the ordering the entity attributes that shall be used to generate the ORDER BY clause. When you execute the test case, the findByTitleContains generates the same SQL statement as the previous method. But this time, you define the order dynamically,to only return the first 5 records. and you can adjust it at runtime. Using Hibernate or any other JPA implementation, you can limit the number of returned records on the Query interface. With Spring Data JPA, you can do the same by adding the keywords Top or First followed by a number between the find and By keywords. 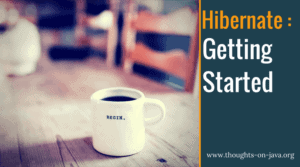 When you call the findByTitleContainsOrderByTitleAsc method on the BookRepository, Spring Data JPA and Hibernate generate a query that returns the first 5 Book entities whose title contains the given String. As you might have expected, the generated SQL statement contains a LIMIT clause to return the first 5 records. And after we had a look at ordering and limiting the number of returned records, we also need to talk about pagination. Spring Data JPA provides another special parameter for it. You just need to add a parameter of type Pageable to your query method definition and change the return type to Page<YourEntity>. The Pageable interface makes it very easy to step through the pages. You just define which page number you want to retrieve and how many records should be on a page. That’s it. Spring Data JPA takes care of the rest. As expected, the generated SQL query contains a LIMIT clause and it would also contain an OFFSET clause, if you don’t request the first page. Spring Data JPA just provides a relatively small usability layer on top of JPA, but it offers several features that make working with JPA much easier. The derived query feature, which I showed you in this tutorial, is an excellent example of that. Sure, you could write all these queries yourself, but you don’t have to. 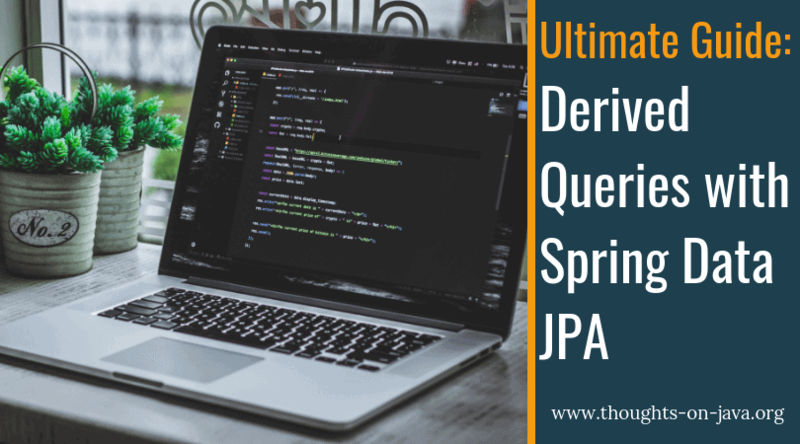 As long as your method name doesn’t get too long or complicated, I recommend to let Spring Data JPA generate the required JPQL statement and to take care of the query execution. As a rule of thumb, as long as your query doesn’t need more than 2 parameters, a derived query is the easiest approach. If your query requires more than 2 parameters or you can’t express it in a short and simple method name, you should define the query yourself. I will show you how to do that in one of my next articles. Thanks for the grate article.